As I have very dry skin, it can often end up looking dull and dehydrated but recently I've found a few products which, when used together make my skin look glowy, dewy and radiant! The first step in my routine is the Soleil Tan de Chanel, this is a recent purchase but it's a product I've wanted to try for ages! I simply lightly swirl my Sephora Mineral Powder Brush into it and apply all over my face and down my neck, I think this is great if your foundation is slightly too dark for you, if you want to look like you've been on holiday or if you just want to look more radiant! Next I mix Nars Copacabana illuminator with Nars Sheer Glow foundation, Sheer Glow is a foundation that makes your skin look very healthy anyway but when I add the illuminator, it makes it look even more amazing! If I want more coverage then I sometimes skip mixing the illuminator in with my foundation and use it on my cheekbones instead. To set my makeup I use the Bourjois Java powder, this is similar to the Hourglass Ambient Lighting powders, it just adds a lovely glow to the skin. 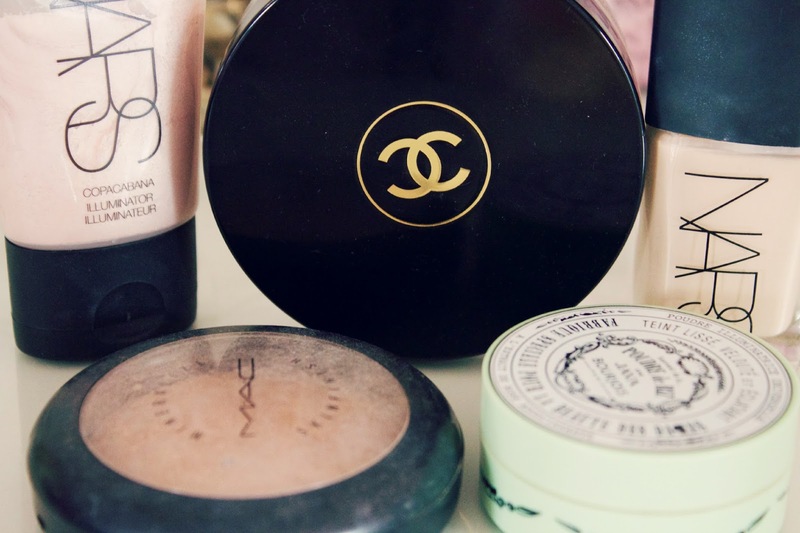 On my cheekbones, I use my favourite highlighter, Mac Soft and Gentle. This is such a beautiful highlight and it works with so many different skin tones! 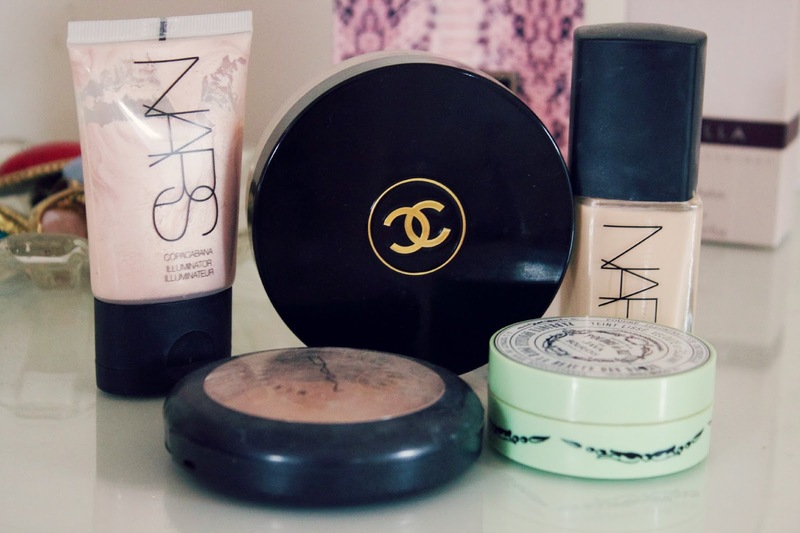 These products together create the most beautiful base for my makeup and it's great if, like me; you have dry skin! I really want to try nars sheer glow. It's been on my shopping list for ages!